Can I track Amazon FBA shipments in Orderhive? 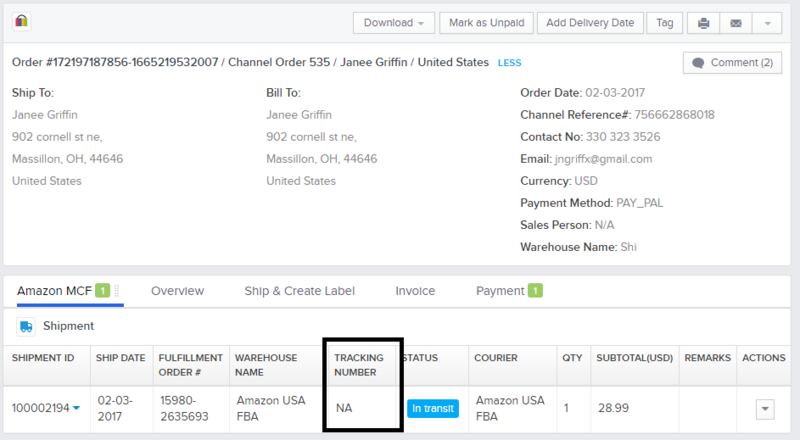 Yes, we can track Amazon FBA shipments in Orderhive with the help of the tracking number provided by Amazon. Usually, the tracking ID comes from the FBA end, and this gets updated in Orderhive once the product is shipped. However, in some cases, there is a delay in the tracking ID getting updated from FBA's side. According to the API's response till the time amazon marks a shipment as Complete >> The tracking ID's won't be updated for that shipment. When you click on the Comment button it shows you the Amazon MCF status of the Order. 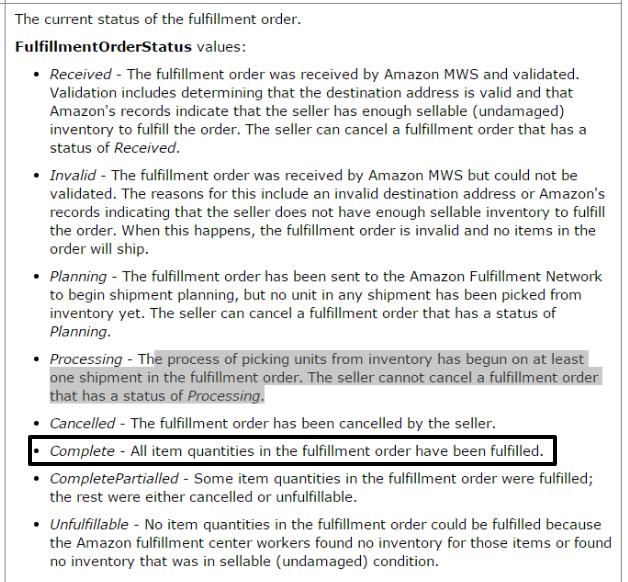 It reflects at what stage the order has reached in Amazon warehouse.This status is updated by Amazon. Once amazon updates the status it gets reflected here immediately. Once the MCF Order Status reaches the Complete stage the Tracking ID gets added automatically and immediately. You can then track the shipment using that tracking id.